The silver price rebounded Tuesday as investors awaited the latest US Federal Reserve meeting minutes for signals on monetary policy. The silver price rebounded on Tuesday (November 21) as investors awaited minutes from the latest US Federal Reserve meeting for more signals on monetary policy. A softer US dollar also supported prices. The white metal started the week by losing 2.3 percent, but as of 1:00 p.m EST on Tuesday, the silver price had inched up to $17 per ounce, gaining 0.6 percent. Meeting minutes from the central bank are due for release on Wednesday (November 22), but market participants are already expecting another rate hike before the year ends. That could be bad news for silver, which tends to fare better when rates are low; that’s because higher interest rates increase the opportunity cost of holding non-yielding bullion. “The Fed rate hike in December is roughly priced in and unless there are very hawkish minutes, it’s more that people are looking for direction about future moves,” Georgette Boelle, commodities strategist at ABN AMRO Bank (AMS:ABN), told Reuters. Higher interest rates could also boost the US dollar and put pressure on precious metals. A stronger greenback makes commodities priced in dollars more expensive for investors using other currencies. Precious metals were also supported Tuesday by political tension in Germany, which boosted demand for safe-haven assets like silver and gold. After talks on forming a three-way coalition government failed, Chancellor Angela Merkel said she would prefer a new election to leading a minority government. As the chart below shows, the silver price has performed in a choppy fashion since the beginning of the year, but is up almost 7 percent since January. 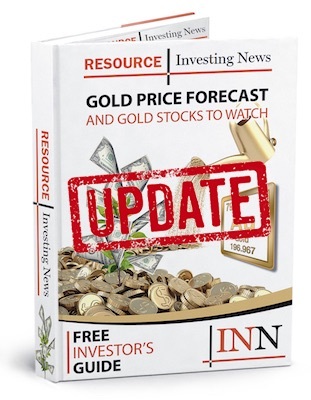 That said, many market participants remain bullish on the white metal, including Wheaton Precious Metals (TSX:WPM,NYSE:WPM) CEO Randy Smallwood. Looking ahead, firms polled by FocusEconomics estimate that the average silver price for Q4 2017 will be $17.30. The most bullish forecast for the quarter comes from Macquarie (ASX:MQG), which is calling for a price of $20.50; meanwhile, Emirates NBD is the most bearish with a forecast of $16.